Aero 2015 is open! The halls are full of shiny airplanes displayed with the usual European sense of style and panache. Visitors are backed up at the entry gates awaiting the official opening time. (We sneaky media journalists are allowed in earlier to get photos and begin interviews with vendors.) 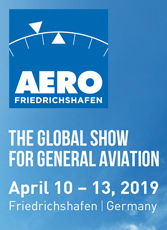 It is a great event, for Europe and for aviation. I already have some airplanes in mind for reporting, both brand-new designs and the sort you never see in the USA. I will aim to prepare coverage of some of them and report as soon as time permits. Yet first, I want to talk about a project that is equally exciting. I refer to the Flight Design project aimed at the general aviation world, that is, of airplanes with more seats than allowed in the LSA space … in addition to more speed, more weight, and other capabilities. Flight Design's coming C4 four seater; it will fly in fall 2014. More LSA producers are getting involved with what might be called LSA 4.0. For more than 100 years, cars have had accidents and if they were severe enough, the results were poor (photo). This was long before seat belts, airbags, breakaway steering columns, padded dashboards, and many other features we take for granted today. It was also before the concept of crumple zones. Typically, crumple zones are located in the front part of the vehicle to absorb the impact of a head-on collision because 65% of crashes are frontal impacts, according to a British study. Crumple zones accomplish two safety goals: They reduce the initial force of the crash; and they redistribute the force before it reaches the vehicle's occupants.This idea has been around more than 60 years and has become standard in the modern era of passenger car design. One of the first examples of crumple zone research is coming from Mercedes-Benz in the mid-1950s, so perhaps it is fitting that some of the first crumple zone technology to be applied to light aircraft has the sponsorship of the German government along with German industry players. German aircraft producer Flight Design, which most readers recognize as one of the leading companies in manufacturing Light-Sport Aircraft, is deep into development of their new four seater, called the C4. This is one of a flock of what I've called the "New GA," and what my journalist friend Marino Boric calls "LSA 4.0." (I like his phrase and will probably adopt it as this website delves deeper into such emerging aircraft.) Flight Design has teamed up with a group of German companies and government entities in creating the first edition of crumple zone methods for light planes. "We are pioneering a new safety technology," noted company technical director Oliver Reinhardt at a press conference at AirVenture 2014. Flight Design USA, the German producer's importer for North America, has long supported safety technologies, for example, choosing to install BRS airframe parachutes as standard equipment in their CT line of LSA. Oliver stated that the C4 is the "Lead User" as they strive to create what Flight Design calls the "Occupant Protective Safety Box." The company will enter into full-scale testing this year. Their C4 will fly in a month or so and expects to arrive on the market in the next couple years. Crumple zones are areas of a vehicle that are designed to deform and crumple in a collision. This absorbs some of the energy of the impact, preventing it from being transmitted to the occupants. According to HowStuffWorks, "Simple designs can include frame segments built to bend in certain areas or collapse onto themselves. More advanced designs can utilize a variety of metals and other materials carefully engineered to absorb as much kinetic energy as possible. High-performance cars often use a honeycomb design, which offers stiffness under normal conditions, but can collapse and crumple in a crash." In airplanes, the ideas are similar but airplane designs do not have the luxury of adding much weight to meet the crash forces. While cars also strive for lightness — consider Ford's new aluminum body F150 — airplanes must stay on a strict weight diet. Most pilots will be interested to know this will not be proprietary to Flight Design, as Mercedes Benz attempted with patents back in the '50s. Flight Design has worked in concert with the German government and many leading technical groups to create a "Safety Box" system to protect occupants. While Flight Design is the lead airframe provider for the concept, the methods discovered will be made available to all brands. Once techniques have been evaluated and proven to add safety values, all LSA and LSA 4.0 producers will have access to the study and testing. Flight Design may have it first due to their industry collaboration but company officials agreed with design team members this is too important to try to keep private. • I wish to observe that other aircraft currently use elements of impact design. Even the ultralight CGS Hawk and lightplanes such as Belite have well conceived structures that helped pilots survive crashes yet to my knowledge no comprehensive study has been undertaken. As Flight Design and their partners move forward, I will look to update this introduction to crumple zones for airplanes. Slovenia'sC2P company showed their handsome One Aircraft creation at Aero. Something of a stealth invasion is beginning. I refer to an emerging flock of four seat Light-Sport Aircraft. Of course, most readers are aware that no such birds exist as LSA (in the FAA's code, anyway). By U.S. regulation Light-Sport are two seat aircraft. Other nations have some different ideas. For now, suffice it to say the "LSA 4s" — as I choose to call them for this article — are on final. In the past I've written about Evektor's Cobra, one of the first in this group, arriving so early that you probably would not call it a "LSA-like" airplane. The southern Czech company enjoyed success with their SportStar and Harmony, smaller siblings to a four seater they flew several years ago. After Evektor (coincidentally also the very first LSA to be approved), we began to hear about Flight Design's C4 modeled on their LSA market-leading CT series. 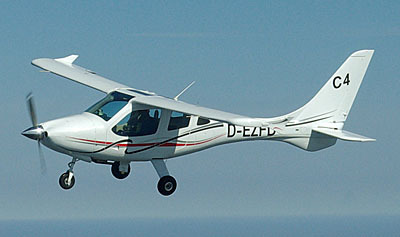 Another was the Tecnam P2010 that looks like their gorgeous P2008 LSA grew up a bit. Tecnam is flying their P2010 and Flight Design expects to fly their C4 before AirVenture 2014. Similarly, Pipistrel is flying their Panthera. Those four well known LSA producers are not alone. Another you know is the Sling LSA, a sharp two seater from South African producer The Airplane Factory. However, this fairly new company (whose principals have a long history under other names) has also flown their four seat Sling 4 not just around the test area but around the entire globe (see video at end). 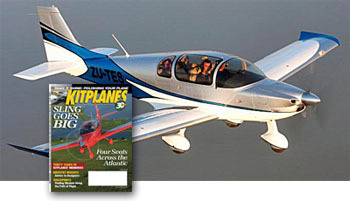 Recently The Airplane Factory USA announced the arrival of the first Sling 4 kits, earning them the cover of Kitplanes magazine. "That's likely not the end of this developing story. Among American builders, one wonders with the success of the RV-12 (hundreds of kits already underway and a growing number of fully-built SLSA versions following), could Van's Aircraft consider making the RV-10 four seater under the new industry consensus method? They certainly could; it seems only a question of will and financing. The emergence of these four seaters may be made enormously more practical by the creation of industry consensus standards for FAA Type Certified airplanes. The effort is aimed at reducing the cost of complying with government certification. This topic is pretty dull reading, I realize, but the pocketbook implications are immense. Do you wonder why the one-time $130,000 Cirrus SR20 four seater now can run well over $800,000 (albeit as a sophisticated, turbocharged five-seater in deluxe form)? To understand, you need look no further than the "$8,000 angle of attack indicator." This poster child instrument was held up by GAMA as the reason Part 23 aircraft development is so ponderous; any change to a Type Certified aircraft means lots of new expense ... so the aircraft improve slower than technology evolves. 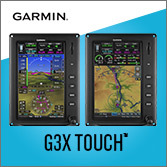 GAMA's pushing highlighted the problem to FAA and the agency responding by adopting a new mantra: "Twice the safety at half the cost." An AoA cost $8 grand in a GA aircraft while it is only $800 in an Experimental, said GAMA. They may not have known an AoA costs only about $200 in a Light-Sport. New ideas about upgraded instrument panels were part of Flight Design's C4 announcements: they'll use a mix of TSO-approved instruments and non-TSO. This and more is possible under the new ASTM F44 industry consensus standards being prepared. This work is well underway; aircraft could be flying under these new rules in a few years. Behind the regulatory or consensus standards curtain more important things are happening. Some of these four seaters will be built in the USA. It's true. 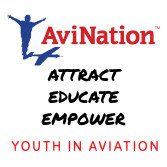 The light aviation industry may be "importing" (more accurately, preserving U.S.) jobs in contrast to what the media yelps about all the time ... "We're exporting jobs overseas!" is a common lament of journalists and politicians. 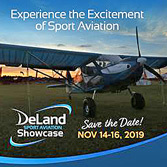 So, Tecnam made a splash at Sun 'n Fun 2014 with their announcement of a large new facility at the Sebring, Florida airport. They stated plans to be considering manufacturing at this facility. Flight Design told journalists at press conferences that they plan to assemble and eventually fully build their C4 (and CTLS Light-Sport) in Vermont. Recently I learned that The Airplane Factory is studying possible U.S. production, although at present the Sling 4 is available only as a kit. I am also aware of a couple other LSA designs that have four seat potential as an essential design element. That's nothing new as the Jabiru J230 LSA is essentially a four seat model with the rear seats removed and the Paradise P1 is presently a four seater in Brazil formerly sold in the USA as a roomy two seat LSA. While we wait on the FAA-certifiable four seaters, Europe is already building some 2+2 models with compact rear seats (photos). Does this article mean ByDanJohnson.com is going to start covering four seat aircraft? Well, no and yes. No, in the sense that we remain fully focused on Light-Sport, light kits, and ultralights. Yet as these "LSA 4s" begin to hit the market, yes, I fully intend to keep a close eye on them. One good reason is that companies like Evektor, Flight Design, Tecnam, Pipistrel, and The Airplane Factory can become more solid businesses with a full line of aircraft. All have confirmed they plan to continue making LSA but their enterprise will be better able to support LSA buyers if their overall business is on more solid footing. 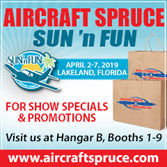 At the ten year anniversary of LSA, with a building wave of some very impressive LSA seaplanes and more land planes, yet while single seat ultralight vehicles are also finding a more secure niche, we have still another front headed our way. 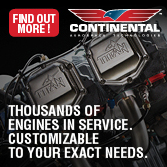 We'll work to keep you informed about LSA 4s as they develop. 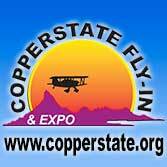 TAF main man Mike Blythe and his partners are exemplary long distance pilots and entertaining film makers. You may enjoying watching this report on their circumnavigation flight. Read More About: C4 Flight Design GmbH Flight Design USA P2010 Tecnam Costruzioni Aeronautiche Tecnam US Inc.
Tecnam's P2010 seen at Aero 2011. Pipistrel's Panthera in model mockup at Aero 2011. Update 9/24/14 — Added to the models below, South Africa's The Airplane Factory is also offering their four seat Sling 4. This model is flying but a decision about certifying it has not been made at this time. It is presently available as a kit-built airplane. Some of the more successful Light-Sport Aircraft producers have their eye on the market for larger aircraft, those able to seat four... or more. While continuing to manufacture their LSA models, three companies showed bigger aircraft or mockups at Aero 2011 and one other company has already done extensive test flying. Look out Cessna, Piper, Diamond, and Cirrus! Those familiar GA brands are about to get new competition. *** The first of this emerging segment was the Evektor Cobra, dating back more than four years. Previously marketed at shows like Oshkosh, Cobra was promoted with alternate powerplants of 200 and 315 horsepower. Joining Cobra in the roughly 2,500-pound gross weight category (approximately the weight of a Cessna 172) are three newcomers: Tecnam's P2010, Flight Design's C4, and Pipistrel's Panthera (photos). *** Evektor has been flying Cobra for some years. Tecnam showed a mockup at Aero 2010 but this year's version appears ready for flight testing. Flight Design displayed a full-size mockup of their C4. Pipistrel had a model, daily presentations, and a slick brochure. *** Some at Aero 2011 questioned if these designs will truly start manufacturing but after speaking to directors at all three Aero 2011 entries, it's clear each is determined to get in this business and fairly soon. All positively stated plans to offer four seat aircraft in the next couple years. Since the P2010, C4, and Panthera must meet government standards (as opposed to ASTM standards) development times are longer and costlier than in the LSA world. *** Tecnam presented their P2010 in an advanced prototype stage. The Italian company's entry is an all carbon fiber fuselage with a metal wing and stabilator (just like the Light-Sport P2008 model). 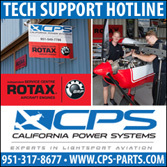 Using the 180-hp Lycoming IO-360-M1a P2010 is projected to have a 133 knot cruise speed at 75% power with minimum stall projected at 48 knots. An elongated fuselage to allow the rear seats presently boasts a 715 pound payload even with 55 gallon fuel tanks. 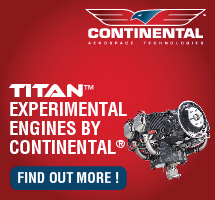 *** Flight Design plans to certify their C4 model with two distinct engines; the company is presently surveying the market to finalize design details. 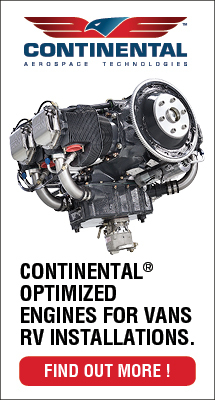 A 180-horsepower Lycoming IO-360, possibly able to use mogas, will power one version while another will be powered by a turbocharged two-liter Centurion (Thielert) powerplant capable of 155 hp burning diesel/Jet-A fuel. Preliminary specs call for a 160 knot cruise and 70 gallon tanks yielding a 1,200 nm range, at 65% power with the Lycoming. *** Pipistrel may be further back in the four seater race but their supremely confident designers of highly efficient aircraft believe they can zoom past the other entries with a 200-knot cruiser burning only 10 gph using the 210-hp Lycoming IO-390. *** Are even bigger models ahead? Yes! Tecnam showed a full-size cabin mockup of their twin Lycoming IO-540 11-seat P2012 Traveler. Evektor has created a 9-14 seat turbine-powered EV-55. Evektor's regional transport aircraft is furthest along but Tecnam is a proven producer with a worldwide network. Update 9/24/14 — Added to the models below, South Africa’s The Airplane Factory is also offering their four seat Sling 4. This model is flying but a decision about certifying it has not been made at this time. It is presently available as a kit-built airplane. Some of the more successful Light-Sport Aircraft producers have their eye on the market for larger aircraft, those able to seat four… or more. While continuing to manufacture their LSA models, three companies showed bigger aircraft or mockups at Aero 2011 and one other company has already done extensive test flying. Look out Cessna, Piper, Diamond, and Cirrus! Those familiar GA brands are about to get new competition. *** The first of this emerging segment was the Evektor Cobra, dating back more than four years. Previously marketed at shows like Oshkosh, Cobra was promoted with alternate powerplants of 200 and 315 horsepower. Joining Cobra in the roughly 2,500-pound gross weight category (approximately the weight of a Cessna 172) are three newcomers: Tecnam’s P2010, Flight Design’s C4, and Pipistrel’s Panthera (photos).